New responsibilities at work means a heavy set of keys that have to go on my keychain. I open the grocery store I work at at 6am, 5 days a week. I can't afford to accidentally forget the keys at home, and putting them on my car keys is the only guaranteed way to make sure that doesn't happen. 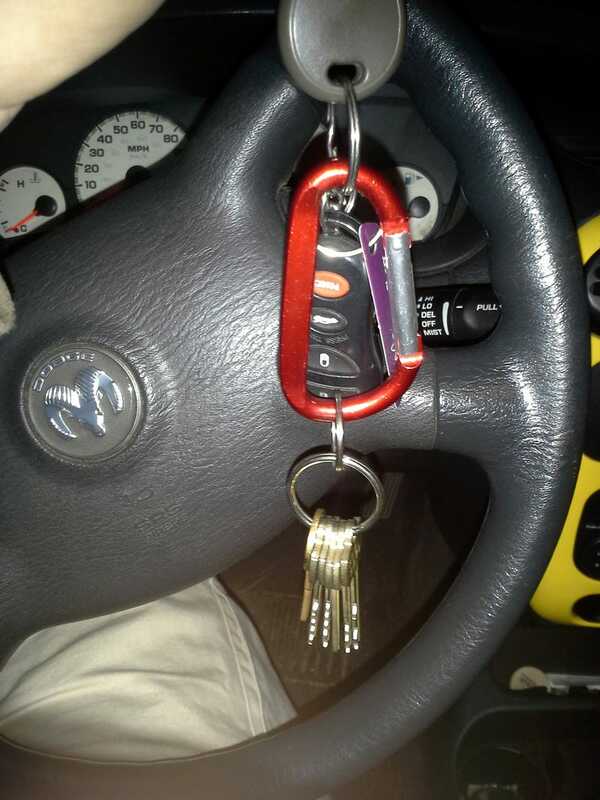 These keys are like brass or sumthin', each one is as heavy as or heavier than my car key and there's six of them.